Our tour started well before dark so the first few stops were not yet lit. This was the time of day to visit as the crowds were much less than during the main part of the day. Our guide was knowledgeable and brought us very close to each stop which was appreciated. The tour guide was quite knowledgeable about the history and landmarks. We were able to park in areas that brought us closer to the sites. I wish we could've had more time at each site but I could see why that was next to impossible. There are many landmarks to visit and we did some both during daylight hours and after it got dark so the pictures I took were great contrasts from a lighting perspective. Although we did get to see many sites and the time was generous, we were hoping for a tour including information about DC and the sites themselves. This could have occurred between the sites or at the sites. We tried to engage the guide and expressed what we were hoping for, but were told that this was not included and getting us to each of the sites was the type of tour it was. If we had understood that from the beginning, we would have chosen a different tour. 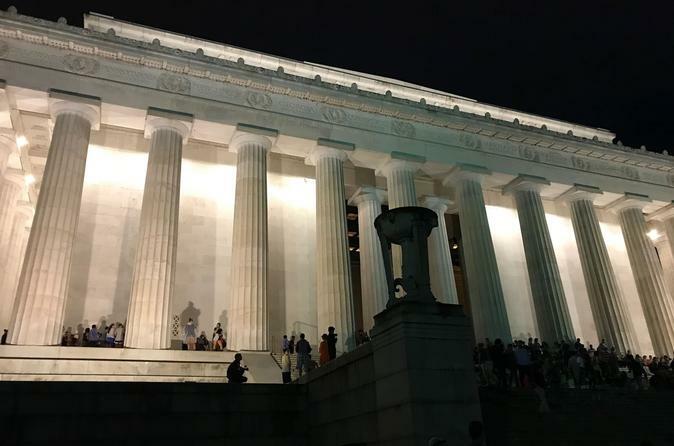 Had a great time traveling to all the monuments and seeing the sights. Our guide was Tundey was great. Very personable and made the tour enjoyable for all of us. Would highly recommend this tour. This was one the highlight of our trip to Washington! Even our teenage boys thought it was fabulous. Dexter is an excellent tour guide! He is friendly, kind, polite, and very knowledgeable about the places we visited. I would recommend this as a must for anyone visiting D.C.
Dexter was personable and very knowledgeable! He responded to some picture requests and always made sure he was meeting our expectations. He actually recommended a very good restaurant and dropped us there after the tour. We were very happy with the experience. What a great trip! Dexter was amazing in his knowledge of Washington DC. If you want to see the Monuments, this is the only way to do it. Dexter gives you the history as no one else can as he drives you from monument to monument. At each stop you are able to walk through at your own pace, once done, Dexter is there to pick you up to take you to the next stop. 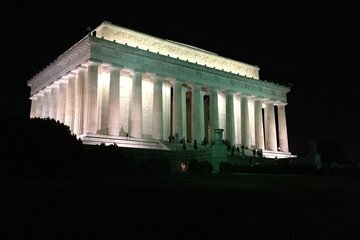 This is a must for your DC trip!